I have been bemused, and a bit appalled, by the recent fox-hunt frenzy from later-stage venture investors in hot pursuit of Unicorns. Certainly, start-ups that achieve more than $1B in value are outcomes devoutly to be wished. But the current ballyhoo makes it sound like Unicorns should and must be the sole focus for all venture investors. I beg to differ. A single-minded focus on the pursuit of the elusive Unicorn ignores the realities of early stage investment return. Unicorns may be marvelous to stumble upon, but they aren't essential for producing dramatic moment-of-inception investment returns. Teams that are disciplined and use capital efficiently can deliver outstanding multiples with a frequency and predictability Unicorn hunting can never achieve. As an investor focused primarily on moment-of-inception investing, I have to recognize that size isn't what matters, only return matters. Getting into a billion dollar start-up on the ground floor can definitely produce huge returns. We were first investors in Pinterest and are delighted to have done so. But getting into even a multi-billion market cap company at too high a price, or with too profligate a fund raising strategy, can deliver mediocre returns, however flashy the dollar signs. 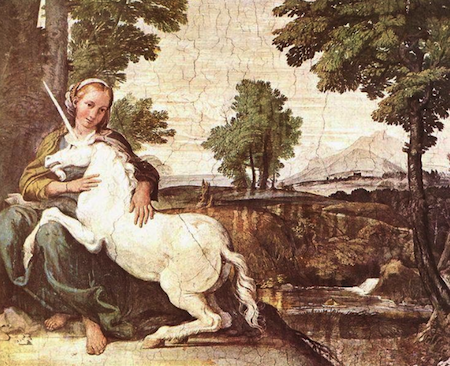 Ultra-early stage investors like me need to remember that Unicorns are, after all, essentially mythological. They hardly ever happen and their appearance is nearly impossible to predict. So, at Social Starts, we focus more on the practical real-world bestiary of venture. Our fauna may not be as stunning as the vaunted Unicorn, but it is much more likely to produce consistent, strong return for our investors. RABBITS. These start-ups sprint to success. They are quick to get their product to market. Quick to respond to outside stimuli. Speedy to either revenue/profitability or dominant customer acquisition. They get acquired quickly too. A company that raises $500K at $5M post and then sells for $50M is a 10X and perhaps only a year or so after investment, which makes it even more satisfying. Think Vine. TORTOISES. In some market segments, this is the only way for a start-up to go. Legal impediments may need to be cleared. Long-held behaviors may need deep alteration. A feisty and eager team, in these markets, can easily exhaust itself, and its investors' money, long before any breakthrough can happen. For better or worse, in these rough territories, only the slow and steady have the right stuff to endure until circumstances have sufficiently altered to create the space to sprint forward. So why would any investor willingly go into a market that mitigates against early success? We wouldn't. But it is impossible to always know how markets will react to change and to capture every variable the world throws into play. When a market shows signs of being obdurate, teams need to be smart and confident enough to slow down and grind it out. When they do, big benefit is possible. LinkedIn may be the best example here. Eight years to IPO and during its early stages often derided and ignored. Only when the full network effect of its huge membership kicked in did LinkedIn take off. The team showed amazing focus and restraint reaching that point with extremely modest capital raised, only around $120M, most of that just before going public. Only $27M raised in the company's first five years. BEARS. Tech transformations go through cycles; not quite boom and bust, more like spring and winter. Periods of excessive company creation, creativity and hope tend to flow into times of confusion, contraction and revisionism. The early wave of companies in a spring cycle can be rabbits; they can sprint to acquisition, abetted by the winds of optimism. But any company not swept up in that cycle has to shift strategies, deeply and fast. These companies need to, essentially, hibernate through the nuclear winter of doubt, keeping costs low, activities pulled back to the absolute core; they need, in essence, to simply survive until the market around them shifts again, hopefully re-energizing their original opportunity or creating new ones they can seize. One of our best investments, Beacon Reader, did this. They saw their original idea wasn't going to make it, so they pulled back hard on expenses, took themselves into YCombinator and totally refocused their existing assets in a new way. Then, after months of near-silence, they emerged transformed, to immediate revenue, growth and success. HAWKS. These are the start-ups that launch themselves into a market space rich with potential targets of opportunity. Like hawks the smart ones remain still, focused, and observant until one particular target bursts from the underbrush. Then, they attack with total ferocity. The stillness of these companies can be somewhat unsettling for investors; we like action, we want the team to get out there and....do something! But the swoop of action, when it comes, can be a glory to behold. Remember Tote? Of course you don't. The idea, from 2009, never took hold. But the team behind Tote, studying carefully what had worked and what hadn't with this visual shopping service, saw that women were making huge collections of product images, even though they couldn't buy them. They pounced on this response; centered the product on shareable, pinnable image collections and changed the company's name to Pinterest. That one you've heard of, I bet. So in the venture bestiary, any creature might become a Unicorn, if the stars line up properly.